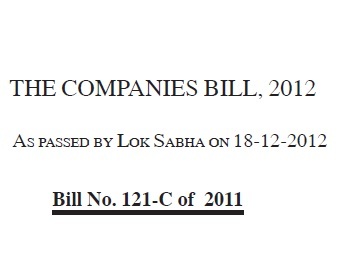 Company Bill 2012: The Parliament has passed the historic Companies Bill 2012, moved by Sachin Pilot, Minister of Corporate Affairs. 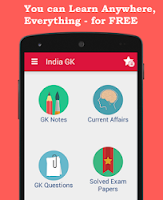 The Bill was passed by the Rajya Sabha on 8th August which had already been passed by the Lok Sabha in December 2012. 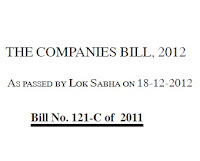 The new Companies Bill, on its enactment, will allow the country to have a modern legislation for growth and regulation of corporate sector in India. The existing statute for regulation of companies in the country, viz. the Companies Act, 1956 had been under consideration for quite long for comprehensive revision in view of the changing economic and commercial environment nationally as well as internationally. The new law will facilitate business-friendly corporate regulation, improve corporate governance norms, enhance accountability on the part of corporates/ auditors, raise levels of transparency and protect interests of investors, particularly small investors. The salient features of the new Companies law are: Business friendly corporate Regulation/ pro-business initiatives; e-Governance Initiatives; Good Corporate Governance and CSR; Enhanced Disclosure norms; Enhanced accountability of Management; Stricter enforcement; Audit accountability; Protection for minority shareholders; Investor protection and activism; Better framework for insolvency regulation; and Institutional structure. - The concept of One Person Company has been introduced in the new company law. - The bill increased the number of members of private companies from 50 to 200. This allows companies access to large pool of capital without going public. - The new bill gives recognition to transfer restrictions on inter-se shareholders – ‘Right of First Refusal’ will be enforceable. This would clear existing ambiguity on legal enforceability on transfer restrictions under JV/shareholder agreements. - While the old bill only permitted merger of a foreign company with an Indian company, the new bill allows merger of Indian companies into foreign companies which would aid in consolidation of cross-border businesses/assets. - The new bill permits merger of a listed company with an unlisted one, subject to exit opportunity being offered to shareholders of the listed company. - While the old bill depended on precedents for merger of a subsidiary with a parent (or between two small companies), the new bill provides a separate and simplified regime for this without any approval from High Court. - The new bill also gives rights for objections to schemes to only creditors who owed over 5 per cent and minority shareholders with over 10 per cent stake against no thresholds earlier. - The new bill also has a detailed mechanism for acquisition of shares by majority shareholder from minority shareholders. - The bill restricts creation of multi-layered holding structures, prohibiting making investments through more than two layers of investment companies. - The new bill bans holding ‘Treasury Stock’, which is often used by companies to increase shareholding or future monetisation after consolidation. - The new bill asks that listed companies and other specified companies will have to change individual auditor after five years and audit firm after 10 years. The old bill had no provisions for this. - Under the new bill, companies are required to spend at least 2 per cent of their average net profits for the three immediately preceeding financial years on CSR. This is applicable to companies with a networth of Rs 500 crore or more, or Rs 1,000 crore turnover or Rs 5 crore net profits, who have to set up a corporate social responsibility committee. The companies will also have to give preference to the local areas of their operation for such spending.